Choose Line/Curve tool and select blush size2. 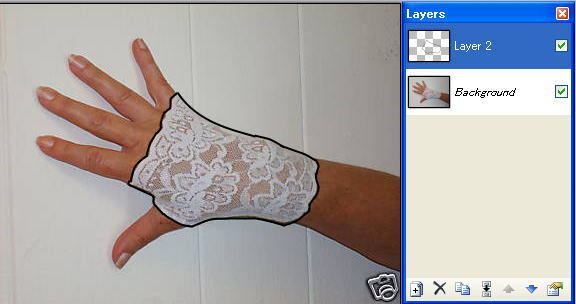 Then tracing outline of the glove. 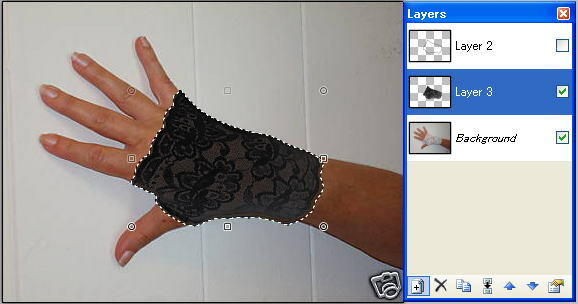 Choose "Magic Wand"tool and select outside of the glove or point the wall. Turn Layer 2 view off by unchecking the view box. Open Properties of Layer 3 and select Blending Mode to "Multiply". Please make a curve shown on below. Since white and black is not in hue circle, using "Hue/Saturation"or "Conditional Hue/Saturation"to change from white to black or vice versa is not a good choice. This reason applies to change from white/black to another col or. 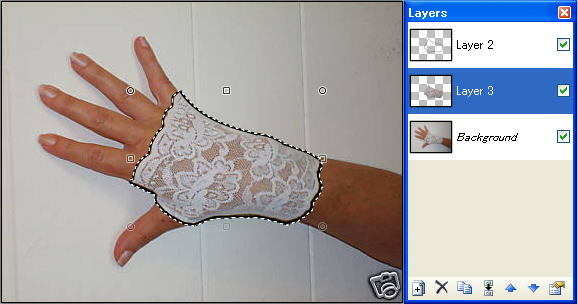 Main point of this tutorial is to keep see-through fabric texture of the glove. Adjust curve line over 75 % Gray portion to 0 %. You can check the new color of Layer 3 by unchecking the view box of Background Layer. Selecting blending Mode to "Multiply"makes the color natural. 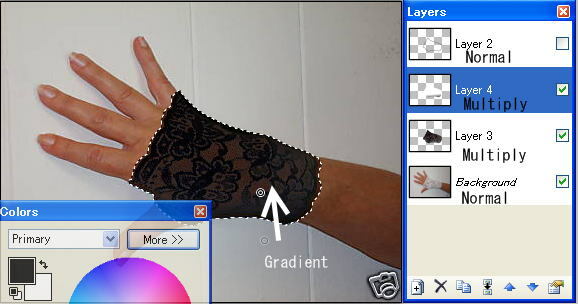 Open Properties of Layer 4 and select Blending Mode to "Multiply"
Select "Gradient" tool and choose "Liner " mode. Use default color (black/white) and apply it bottom portion of the glove. Click merge button to merge two layers. Check "True Feather" check box. If you'd like to light it up, adjust Layer 3 Opacity. 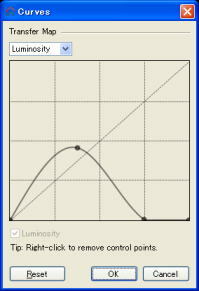 I've changed opacity from 255 to 240 and adjusted Luminosity of curves little bit. Another method of " STEP 3 ". The colors are bit different but it works well too! Turn Layer 2 view off. Please see example for adjusting "Curves". Follow previous Step : 4 to 6 to complete. 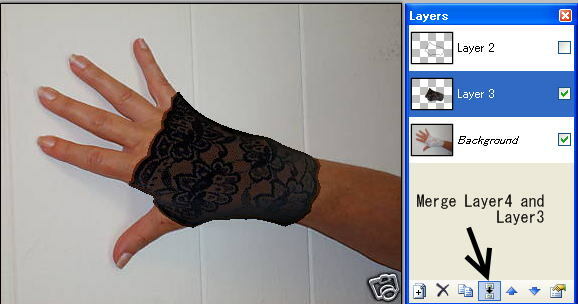 To change the glove to red, select Red to flat 255. Then you can use "Hue/Saturation"
These are basic techniques and you may find other ways to do it. I used original photo(400X300) from the sender but if you want to do it neatly, higher resolution is recommended.